Eye Make-up Remover dissolves even waterproof eye make-up without residue. It nourishes and creates naturally beautiful lashes. 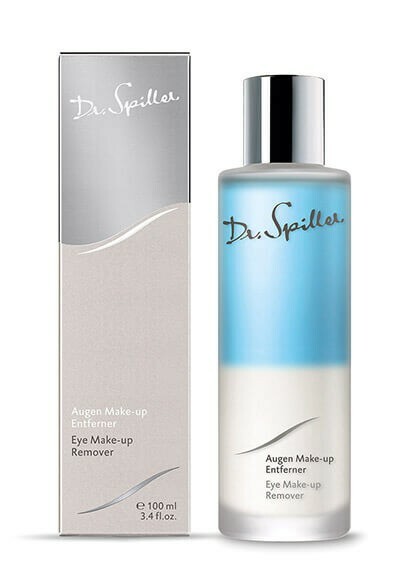 Eye Make-up Remover gently dissolves even waterproof eye make-up without residue. The nourishing film that coats the lashes with rich Castor Oil gives the lashes a denser appearance. This two-phase product is as practical as it is pleasant on the skin. Shake before use. To remove eye make-up, place a few drops of Eye Make-up Remover onto water-soaked cotton pads or apply Eye Make-up Remover directly to the skin with the fingers, then dissolve and remove eye make-up using water or a damp cloth.